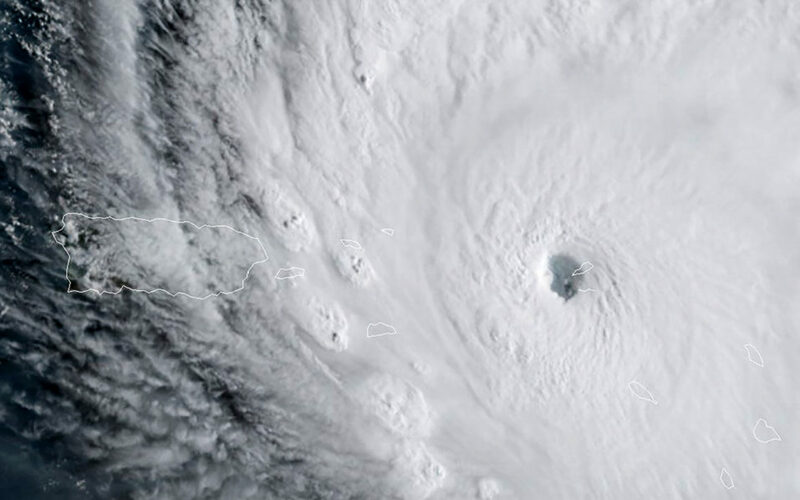 Hurricane Irma has already caused “major damage” on several Caribbean islands, French Overseas Territories Minister Annick Girardin said on Wednesday. The Category Five hurricane has “blown the roofs” off of buildings, caused flooding and cut communications between Paris and the French-run islands of Saint Barthelemy and Saint Martin, she said after a cabinet meeting in Paris. The hurricane has caused major flooding in low-lying areas, and coastlines are being “battered extremely violently” by the sea, it said. As Irma approached the French-run Saint Barthelemy, a favourite jet-setters’ destination also known as St. Barts, the office measured winds of 244 kilometres per hour (151 mph). French Interior Minister Gerard Collomb also said that government buildings on the island of Saint Martin — the most sturdy built there — had been destroyed. “We know that the four most solid buildings on the island have been destroyed which means that more rustic structures have probably been completely or partially destroyed,” he told reporters. The population on the French side of the island of Saint Martin is around 40,000, with around the same number estimated to live on the Dutch-administered side. A total of around 9,000 people live on Saint Barthelemy.